Research Interest: Achievement Gap, Special Education Over-Representation, Gifted Education, Under-Representation, Twice Exceptional, Creating Culturally Responsive Classrooms, and Increasing Family Involvement. 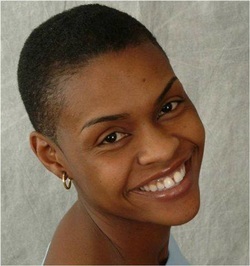 BIO: Dr. Michelle Frazier Trotman Scott is an Assistant Professor of Special Education in the College of Education. She teaches graduate and undergraduate courses in special education and undergraduate courses in diversity. Her research foci are over-representation minorities in special education, under-representation of minorities in gifted education, the achievement gap, and parenting and she has published in all areas. Prior to her appointment at UWG, Dr. Trotman Scott was a middle school teacher, a middle and high school coach, a principal of a large elementary school and a superintendent of a charter school in Ohio, and then an adjunct professor at The Ohio State University.